This delicious pink English Quality sparkling wine is perfect for celebrations. Made in the traditional method this is a vintage well balanced, dry fruity sparkling wine ideal for any special occasion. An English Quality sparkling wine made in the traditional method. This exceptional Brut has biscuity undertones and a lively fruit which is perfect for entertaining. Distilled from Sherborne Castle Wine, aged in oak barrels for eight years, this brandy has a smooth rounded flavour, a real must for all brandy connoisseurs. Made from the Pinot grape this wine is a new addition to our stable, it has a gentle rosé colour, with a light refreshing taste, perfect chilled for a warm summer’s day. A blend of grape varieties a crisp dry fruity wine, excellent as an aperitif and as an accompaniment to food. 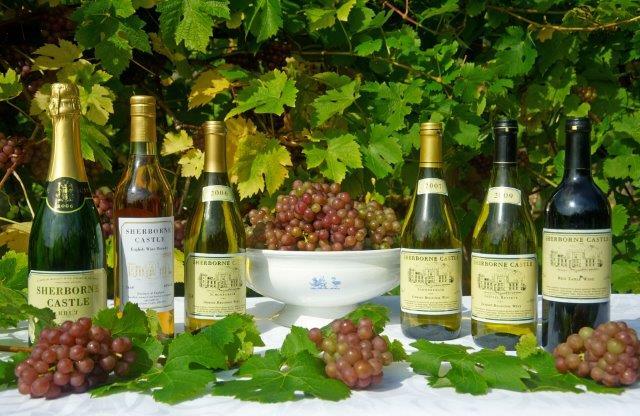 The tradition of wine making on the Sherborne Castle Estates started in the Middle Ages when Bishop Roger, who built the Old Castle planted a vineyard on the northern side of the lake. By 1146 this was sufficiently mature to be mentioned in the bull of Eugenius II. In 1982, the tradition was revived on the estate by John Wingfield Digby at Wake Court in Bishops Caundle. The vineyard has three hectares of vines on a south facing slope with soil types of limestone loam over clay. The vines are planted on a wide high wire system known as Geneva Double Curtain that gives a smaller number of vines per hectare. This gives a better exposure to the light which is very important to fruiting. 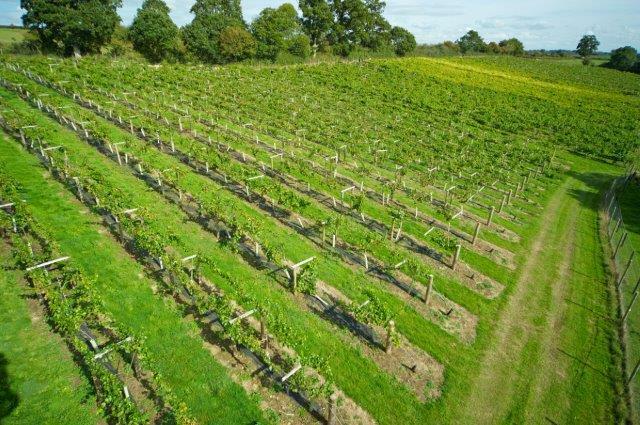 The Wake Court Vineyard is a perfect example of an English vineyard producing fine wines. The Special Reserve is a blend of four grape varieties. In addition two traditional method sparkling wines are made and matured, a white and a rosé. There is also a wine Brandy aged in oak produced from the wine of the Seyval grape. On average 15,000 bottles are produced each year. 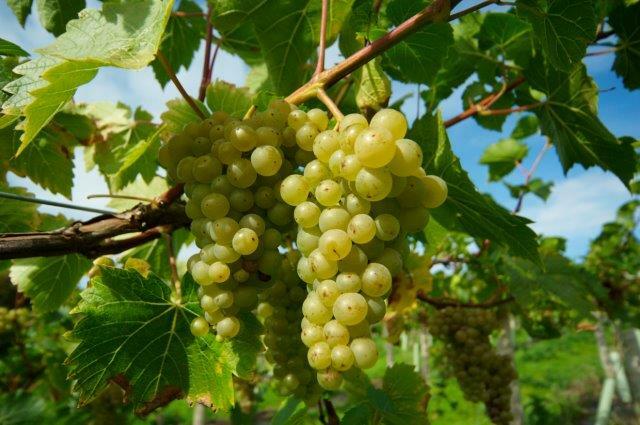 The varieties grown are Bacchus, Leon Millot, Pinot Noir, Regner, Reichensteiner, Schonburger and Seyval Blanc. 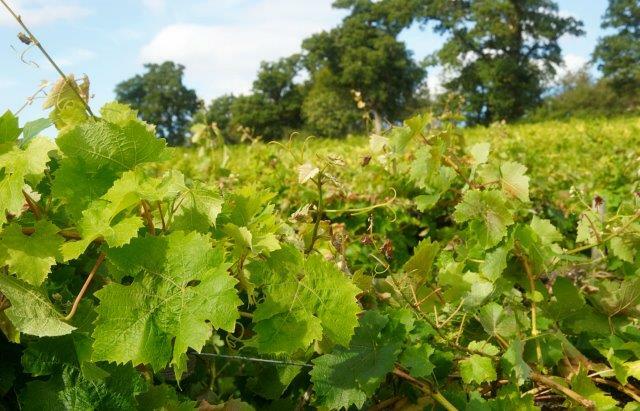 Once the grapes have been harvested the wine is produced by a contract wine maker, Steve Brooksbank, of the Bagborough Vineyard, Pylle, Shepton Mallet who uses the latest technology and equipment, including stainless steel vats that ensure a clean fruity wine.